I got a new slow cooker for Christmas! It is really great. You can read all about it here. Here is the first recipe I made in it. Add first seven ingredients to the slow cooker. Mix well so the seasonings are evenly distributed. Lay chicken breasts on top, pushing them down just enough to cover them with the liquid. Simmer on low for 5 hours. Remove the chicken breasts and shred with two forks. Return to slow cooker and simmer an additional hour or so, until chicken is completely cooked through. Serve with cheddar cheese, sour cream, and tortilla chips. Garnish with green onions. This is another recipe I got from allrecipes.com and altered a bit. It called for onion and I didn’t have one, so I used a shallot. Also, it called for a can of beer instead of the chicken stock, but YUCK! I don’t like beer and was afraid the taste wouldn’t all cook out, so I substituted the stock instead. Besides, I’m pregnant. I can’t have beer! The recipe came with a taco seasoning, which I posted separately. As you can read there, I thought it was a little heavy on the chili powder. 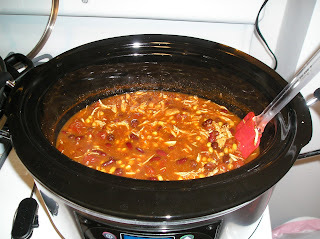 The soup recipe also called for one can of red chili beans instead of the second can of black beans. 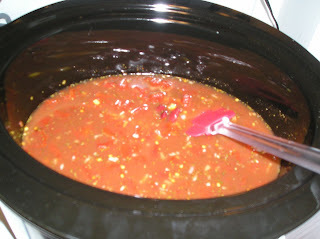 That combined with the chili powder gave it a definite “chili” feel. I knew that was going to be an issue when I awoke from my afternoon nap and wondered who was making chili. 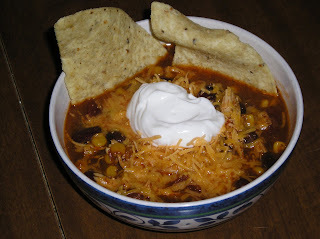 Next time I will scale back the chili powder and use two cans of black beans instead of one black, one red. I didn’t simmer it on low like the recipe says. I didn’t get it together until about 1:30, so I put it on high. I shredded the chicken at 6:00 and it was literally falling apart. I hate shredding chicken, but it was so easy. The chicken was so tender. The original recipe says to simmer another 2 hours after shredding the chicken, but I didn’t think it needed that much additional time. It was 98% cooked through by then. I put “2-3 chicken breasts” in the recipe because it really depends on how big your breasts are. (Lol, no I don’t mean the ones in your shirt!) They are usually so thick that they take forever to cook and make huge portion sizes, so when I bring them home I slice them in half (flat-wise) and freeze them individually on a sheet pan. 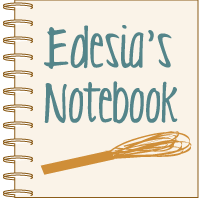 So, how thick your breasts are will determine the cooking time and how many you need to use. I used three of the thin sliced ones: one med, one large, and one kinda small. When I shredded it, I left out half of the big one because I didn’t think it needed any more chicken. 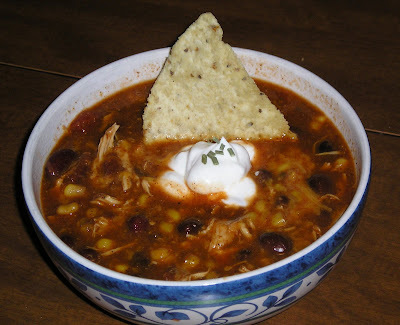 Even with the chili feel to it, we absolutely loved this recipe. It was really flavorful and the chicken was nice and tender. It had great flavor without being very hot. 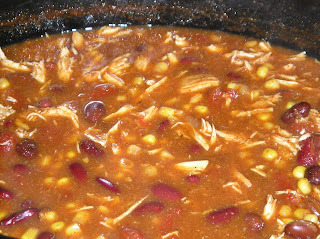 Next time I might add some cayenne pepper or maybe a dash of hot sauce to give it a little something extra, especially since I am reducing the chili powder. If you like things hot, I strongly suggest you add something like that. I will definitely be making this again! Please try it. It is so easy and so good! I have to include this pic. It's of Jim's serving. He insisted I take one of his as well. He completely drowned his in cheddar cheese, as you can see! I made the soup and the enchiladas for friends last night. I put double the chicken in the crockpot to cook then used half of it in the enchiladas. It was way easier to shread that way and it tied the two dishes together. Everything was a hit.